Hello sweet people. Happy Tuesday to you! I hope you’re all having an amazing week. So far, so good here. As I’m sitting here typing this, there are glimmers of sunlight just peaking over the trees…little bands of light are sprinkling themselves over all the leaves and flower buds that are growing fresh and new. Oh, it looks wonderful! It’s been kind of dreary and I feel like I’m craving some rays. One of the things I love about spring, in addition to the sunny days and warmer weather, are all the pretty flowers that are coming into season. Ranunculus is one of my favorites…along with big, beautiful peonies and heavenly-scented lilacs. I got a few flowers the other day, along with that little vase. I’m really loving the pink and turquoise color combination…I’m going to remember that for future photos. I’m still trying to figure out what to do about a garden. I really want to see some veggies growing outside, in addition to all the pretty flowers. I can just imagine their yumminess, not to mention how interesting the whole process would be for my children. The Mister isn’t really jumping into action as far as my outdoor plans are concerned…I’ll figure something out though. Anyway, time’s just ticking along over here. I feel like I’m busy with a whole lot of nothing…mostly cleaning, organizing and purging. I’m having a hard time blogging lately. I don’t know if it has to do with the weather or what, but I’m feeling kind of restless and it’s hard for me to come up with things to share with you. It was my birthday last weekend and I had thought about putting up a photo of myself since I never do that…maybe you could’ve guessed my age or something. LOL. Luckily, the smart part of my brain thought better of that idea. I have been thinking of doing a post on photography though, since I often get emails about that. Maybe that will be next week’s topic. What do you think? Happy Belated Birthday, Tricia! I hope you had a lovely one. I would love a blog post on photography – your blog is the prettiest one in my reader, and I love what you do with your flowers. I'm glad that you didn't lose your blossoms with the chill! I'll go for tomatoes, we love that a lot in my family – but besides that I think I'll have mainly flowers this year. I've grown other veggies a couple of years but don't think I'll have time to take care of them this summer. Your photos are indeed beautiful. Tips on getting so much light on your subjects would be most welcome. I love ranunculus flowers so much – but I have never actually had a real live bunch of them! I can't find them anywhere here! As always, your photos are so inspirational and stunning! Lovely, lovely photos!! I ove pink and turquois/aqua too. I hope you had a very happy birthday!! 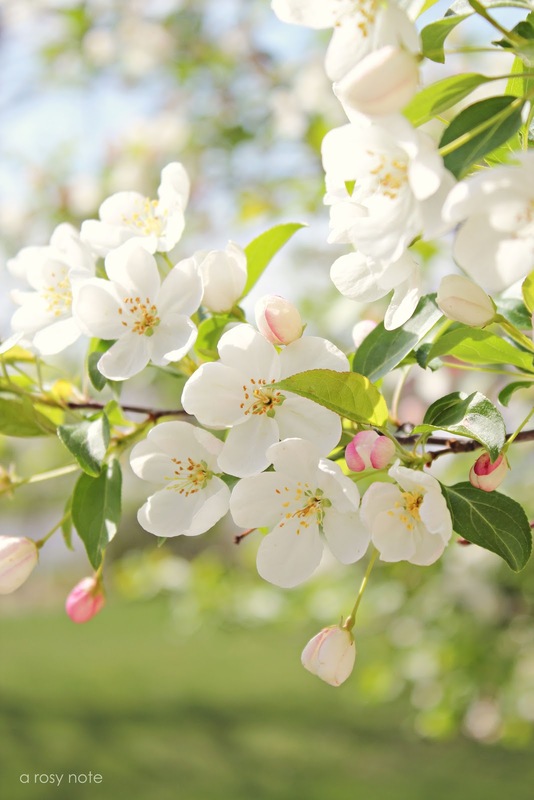 Are the white flowers from your crab apple tree? I took my boys on a picnic at the forest preserve near our house and I took some photos of some white flowering trees. They smelled really good. I hope to plant some herbs soon! I would love to read some tips on photography! Every time I visit I'm blown away by your beautiful photos. What a simple…pretty post…thank you!! 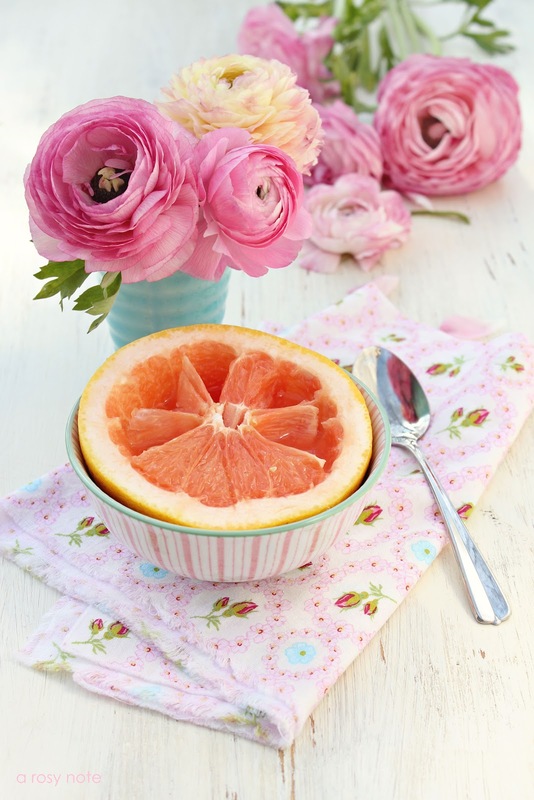 your photography of the flowers just made my morning with their cheery vibe and luscious pink. best to you, and happy tuesday! О, які ж чудові фото! Lovely photos! Those flowers are gorgeous and I love your lighting too. Your photos are wonderful, love them much! I would be absolutely thrilled to see you do a post on photography!! Your photos are always stunning and you are a true inspiration to me!! Happy belated birthday! Your photos are gorgeous! Happy birthday, Tricia! Be an inspiration for all of us. Beautiful photos as always!! I am so loving all the bushes/trees in bloom right now! Gorgeous photos! I was so happy to see you had a new post today! I can stare at your images forever. Have you thought about selling notecards or greeting cards or prints? Its always so beautiful and light over here. Loveliness. i think its a good idea to do a photography post… i would be interested in that! Those flowers in the turquoise jar are so gorgeous! I love peonies and lilacs too. I'd also love to see a post on photography since you excel at this gift. And a photo of you would be most welcome! Enjoy your hair appointmnet sweetie! Just gorgeous! I hope you'll do a post about lighting. Your lighting is just always amazing. Happy Birthday. I love your pictures. DOn't be afrid of posting your pictur. I think it helps to get to know one a little better. I hate to say this and maybe it is my computer………but I can haardly read the prit on your blog. It is so light. Maybe it is just me…..but I Love your blog. Gorgeous blooms! And you should absolutely post those pics of you, are beautiful! Tricia – I know you didn't grow those ranunculus. Where did you buy them? I love them and can't find them. I thought maybe you got them at Trader Joe's but the last time I was there they didn't have any. Care to share? Your blog is beautiful. Our trees aren't in bloom just yet, but there are only a few little spots of snow left in the yard. I would love if you would share a photography post with us! 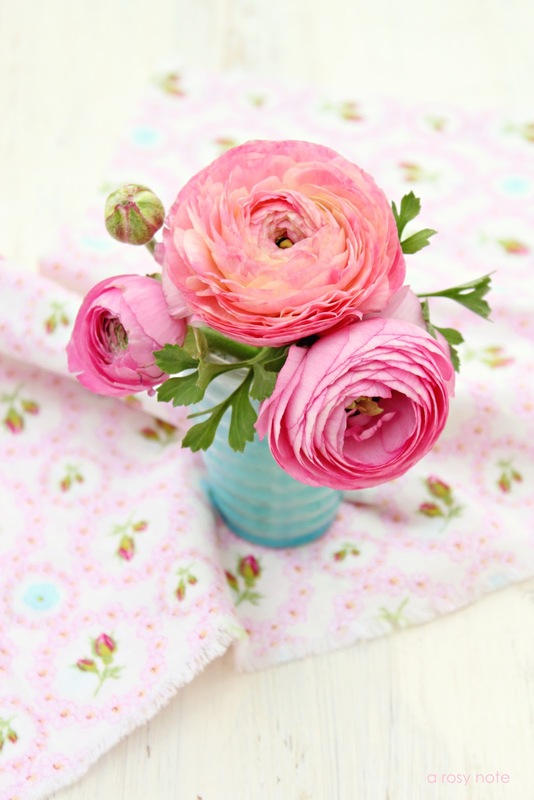 Your ranunculus photos are pretty enough to frame and hang on the wall! Happy belated birthday! such beautiful photos, what a great time of year when all the flowers and trees start blooming!! Once again a beautiful post with lovely spring colors. Maybe you have spring fever? a common malady at this time of the year. If you are considering a post on photography and need more votes to convince you, my hand is raised. You have a very unique style of "styling" your photos. Maybe a post on styling with photography…huh? Beautiful, beautiful, beautiful! Hope you had a special Birthday. Happy Biurthday…I hope it was a good one with lots of fun celebration. I would absolutely love for you to do some posts on photography, it would be wonderful. Happy belated birthday! I agree with you on the turquoise and pink combination – it's a winner. You know, we've had snow the past couple of days, snow. But still our apple trees have blossomed and they look as pretty as your pictures show. Also, you should definitely plant some veggies! I did that last summer for the first time, and oh my. Can I just tell you how delicious the homemade salsa and tomato sauces were? Amazing. My daughter also loved taking care of and picking up the veggies (we had carrots, tomatoes, green onions and cucumbers in ours). I recommend it. you inspired me to buy these flowers today for the first time. well i found out quick that they are a challenge to photograph! they want to flop over and face downward, that doesn't make for a good photo : ) as usual, yours look beautiful and soft, and the blossoming tree photo is so bright and cheerful and lovely. What beautiful flowers, Tricia! You always take the most lovely photos! Your header looks so sweet, too! Hope your birthday was wonderful! Your post and photos are lovely today! So pretty and bright! We would love to see photos of you! Do share! Happy Birthday! Love that picture of gorgeous blossoms. Spring is for sunshine and daydreaming. But it's nice you took time for some beautiful shots! Very beautifully written and amazing shots! Any tips on photography would be welcome. As always, such beautiful photographs Tricia! I think we all get to "stuck" times at one time or another. For me, it usually happens when I simply have too much that I need or want to do, as it seems to pass when things slow down. I would love to read a photography post written by you! I really like your blog and I want to follow but I dont see twitter or facebook in here?? I love this time of year also.. But here in the desert it goes by to quickly and before you know it the weather outside will be to hot to enjoy. But for today I am loving it.. Such pretty photos.. Happy Birthday a little late! Oh yes tips on photos – I have been waiting for you to offer an on-line class : ) Gorgeous photos this post – always! Hi sweet Tricia! Happy Belated Birthday to you once again!!! I LOVE your images – your blooms are gorgeous, not to mention all the vibrant colors in your pics! I'm also thinking about growing veggies in our backyard…but I'm such a beginner in gardening, that I'm a bit reluctant. I'm just starting to grow blooms…do you have any advice for the novice gardener like me? Especially in regards to those pesky little bugs that seem to creep up on my growing blooms?!?! Do you use organic sprays, or regular old insecticidal sprays?!?! lol Hope all is well over there!!! Happy Birthday! Lovely vignettes as usual, Tricia. Happy Belated Birthday! I got to know your blog through a friend Jacqueline. I adore your blog and photos! Ranunculus is becoming one of my favourite flowers too! Would LOVE a post about photography! Your's is Always gorgeous! Oh, PS!! Happy Late Birthday!! A Very HAPPY BIRTHDAY to you! Your blossoms look beautiful and larger than most ranunculus…they are beautiful. I think most of us have spring fever and are having a problem staying at our computers and blogging. I think with warm weather and sunshine we all need to take more time outdoors and enjoy the gifts of nature more. I hope you had a very special and happy birthday celebration. These photos are so bright, colorful and happy – I'm blown away! a post about photography would be great. inspire us!! and. i didn’t have to come back for this, we all know it already: your photos are just gorgeous. Your flowers are just lovely. Your photo is so adorable,so fresh.. Such pretty pictures of those lovely flowers. I would really like a photo tip post if you are doing one. I hope you had a lovely birthday. Such an absolute delicious treat for the eyes . . . I love the feminine feel of your photos…always so pretty! I know what you mean about coming up with new things to blog about! It's not easy. Hope the waether is sunny and beautiful in your neck of the woods! Turquoise and pink is one of my favorite color combos! I'm looking forward to seeing what compositions you come with in the future. I'd also love to read about your photography experiences. It's always a treat to read about someone else's process. Happy belated birthday. Beautiful photos as always…I love the one of your crabapple tree! Gosh Tricia, simply gorgeous! So pleasurable to view! I cannot get over how AMAZING your photos and photography skills are. You have found your niche for sure. I'm surprised some magazine hasn't snatched you up to be their official photographer and set designer. I always smile when I visit Y♥U.